Thinking up fresh content ideas is one of the most time-consuming tasks for a content marketer. Wouldn’t it be nice to have a massive list of topics ready to inspire your content creation? In this post, you’ll learn 9 ways to quickly generate an arsenal of new content ideas. Save those ideas to a spreadsheet so that you can spend less time brainstorming and more time creating. 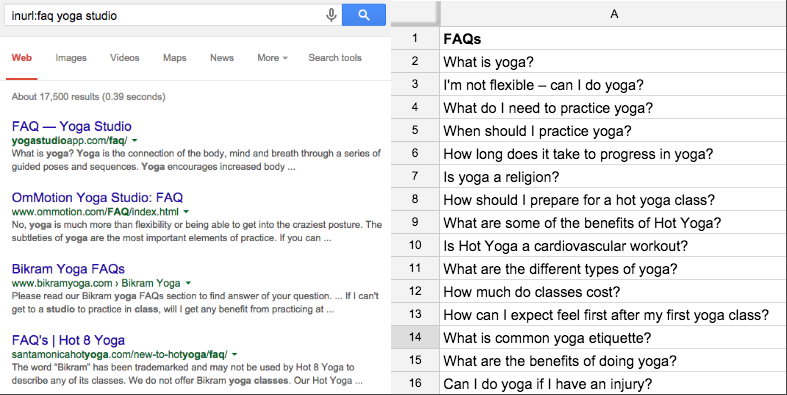 Click through the resulting FAQ pages to easily mine them for great content ideas. Build your website into a resource for your audience by turning these frequently-asked questions into blog posts, guides, infographics and more. This has quickly become one of my favorite tools for generating content ideas. If you’re already using Google autocomplete to come up with topics, then you’ll love how much time AnswerThePublic.com will save you. 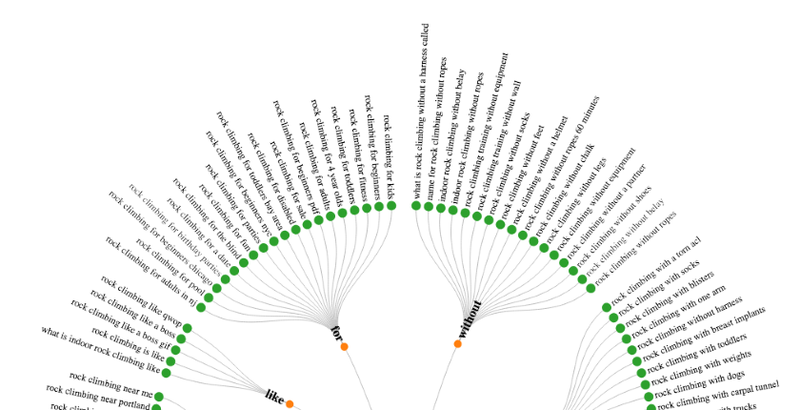 Their Consumer Insights tool takes your target keyword and delivers a cool visualization of useful search phrases based on 15 common questions and prepositions. The tool also has an alphabetical list of keyword searches, much like Ubersuggest. The best part is that all this data can be exported into images or spreadsheets. You may have browsed Reddit before to draw inspiration from top-performing content in your niche, but have you ever checked out its awesomely-curated wiki pages? Most subreddits have a wiki page that is managed by moderators. They generally feature a handpicked collection of the subreddit’s top comments, best resources and most frequently-asked questions. First navigate to a relevant subreddit. If a wiki page exists, you’ll find it linked from the top menu. If you have a subreddit’s URL already, just add “/wiki/” to the end of it. Browse the collection of content that has been selected by the people that are (usually) most familiar with the subreddit’s audience. 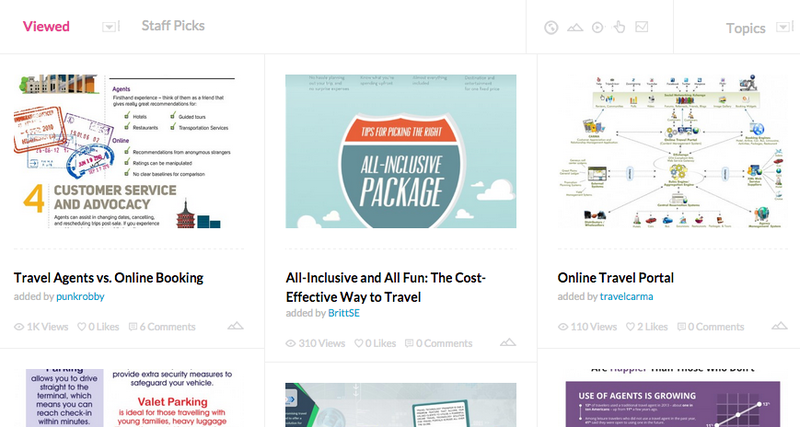 Pull out relevant content ideas and add them to your queue. Visual.ly is a creative services platform that helps brands with the creation of mostly visual content. Their community page features some of the most popular infographics on the web. Use the search bar or sort by topic to find content ideas that are relevant to your industry. More visual content! While I don’t exactly represent the demographics of Pinterest’s user base, I do take advantage of their search functionality to find awesome content ideas. Pinterest’s Guided Search helps you narrow down the results by suggesting additional keywords to tack on to your search. You can quickly add or remove Pinterest’s suggestions to sort through a ton of relevant content. Turn these results into content ideas of your own. BuzzSumo is a great search engine for finding the most engaging content topics in your niche. You can plug in a relevant keyword, but I’ve always found the tool to be more effective when you search the URLs of content leaders in your industry. Grab relevant content ideas and tweak them to fit your audience or make them unique. Sign up for a free BuzzSumo account to remove the limit on searches. 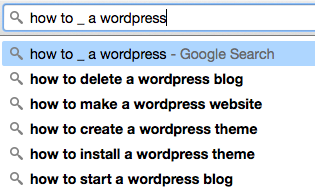 Google Autocomplete is a great way to generate content ideas. But once you start adding wildcards, you’ll get greater control of the suggestions it gives you. Autocomplete normally works by finishing the end of your search query. Drop in a wildcard character, like “_” or “*”, and you can decide where Google makes suggestions. Quora, the question-and-answer platform, is a goldmine for content ideas. I find that their general search functionality can be hit or miss though. 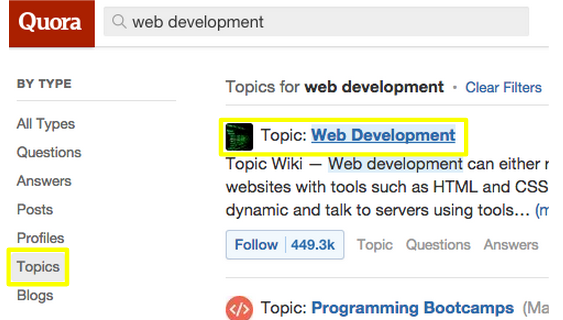 Using Topic pages is much more efficient. Search the general topic that you need ideas for. Next, use the filtering options on the left to view only Topics. Select the most relevant Topic page from the results. Once you’re on the Topic page, you can browse the Topic FAQ for ideas. 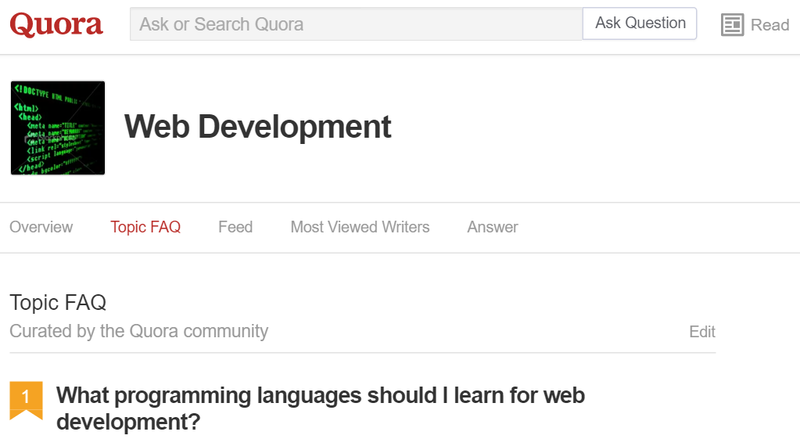 These questions are curated by Quora users, much like Reddit Wiki pages. Ever wondered what’s driving the most organic traffic to your competitors’ websites? SEMrush can answer that for you. Auditing the top-performing content for other websites in your niche is a great way to add content ideas to your publishing calendar that will also help to close gaps on your own site. How many content ideas were you able to come up with? Follow these 9 methods and you’ll have a list of ideas that will keep you busy for a long time. If you know of any other untapped resources for content ideation, describe them in the comments! Nice list. I like mining content ideas from the tools others provide, whether they were originally designed for that purpose or not. This article resonates with a backlinko article I read about 4 years ago. Wow great article!!! I just tried http://answerthepublic.com and it’s amazing. The results it returned gave me a lot of ideas. The only negative about the results is that it doesn’t tell you how many people “ask the question” but if it’s about your industry it still should help with some targeted traffic which means more specific traffic searching for your product that might actually buy. Great article once again. Real nice list, I’m loving the answerthepublic.com place! The FAQ and Buzzsumo ones are invaluable as well! !